2 days before Christmas, whilst I was sat at my desk, I get a phone call. The Fiancée generally likes to have some time off during Christmas and despite taking time off to fly to India on Boxing Day, this year was no different. He simply called to say that he had to pop into town to sort some bits out and would I like to meet him for lunch & if so to think of some places we could go to. Obviously I said yes and 40 minutes later I get another call telling me to look out of my window. Standing down below (having found my office despite previously claiming he had no idea where I work) was Mr R. Turns out he’d planned this the week before and had booked us into Patara for some yummy Thai food. When we arrived at the restaurant, it was busy as expected given the fact that we were in the run up to Christmas. We were quickly seated and had a look at the menu. Mr R hates the taste of lemon grass so we managed to dodge anything too heavily lemon grassy. Having decided to keep things healthy and not over eat, so as to avoid me falling asleep at my desk, we started by ordering three starters. First up was the Tuna Tartare. 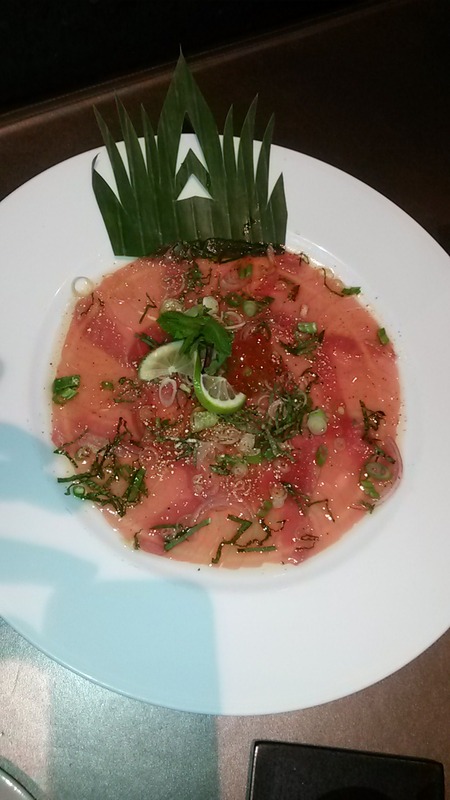 This was described in the menu as “finely sliced raw tuna in a spicy lemon grass and mint vinaigrette”. Despite what I just said about not ordering anything too heavy on the lemon grass flavour, this was really fresh and extremely refreshing. Mr R claimed it tasted better without the topping, some of which was chopped up lemon grass but overall this dish was a major hit. 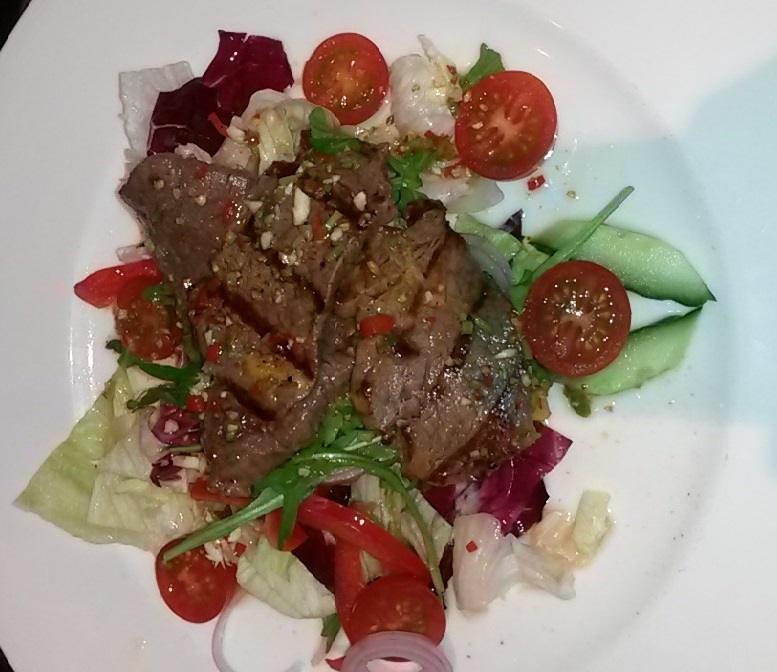 Next came the Yum Nua Yang (flame grilled sirloin beef salad). Again I was really impressed with this. The beef was perfectly cooked & the dressing was the perfect mix of sweet & sour. Overall the flavours were fresh and really very good. 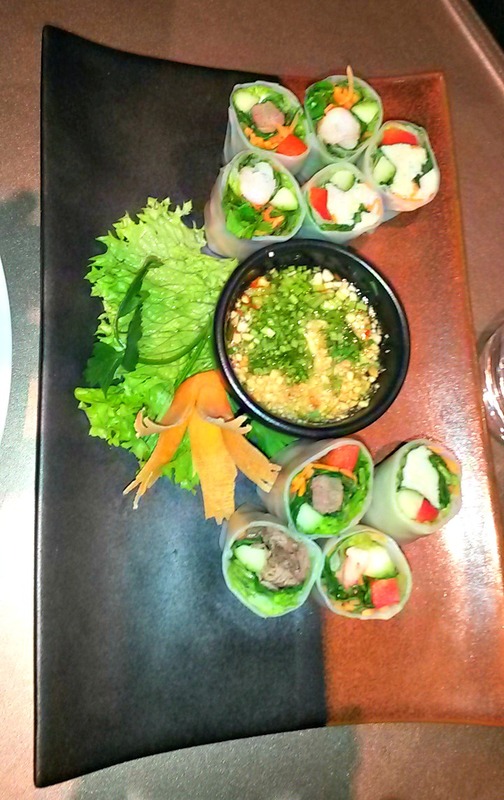 As expected, these were really fresh & the dipping sauce made all the difference. Unlike when I visited Mayfair Pizza Company & Boopshi’s we made a conscious decision not to over order. 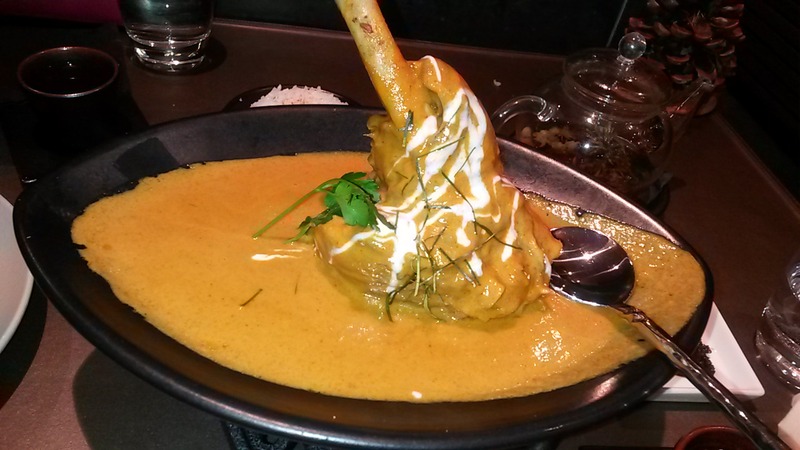 So when a friend commented on my Facebook check in and recommended the Lamb Shank Curry (Panaeng Nong Gae) we just couldn’t resist! We ordered this with a side of coconut rice (because everyone needs a little indulgence now and again). The meat was super duper tender, practically falling off the bone. There was a little bit of fat but we managed to pull this away and the curry itself was perfectly balanced. We decided (for once) to skip dessert and instead had our jasmine tea topped up. Overall this was the perfect shout for a semi quick lunch, but would be just as good for dinner – yummy in my tummy!